Things are heating up in Kansas! Wait until you see what happens tomorrow. Taco Hell fans, we're going to take a break this week. I think both stories will suffer if I post them on top of each other. 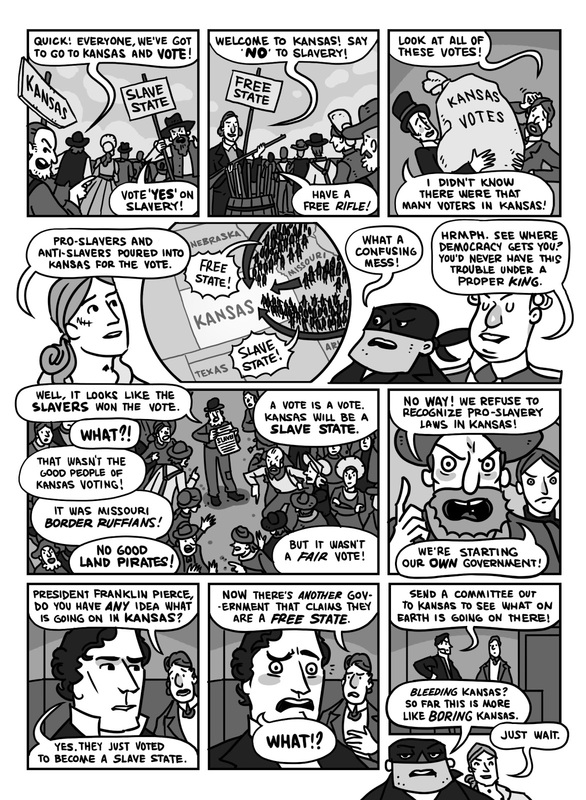 We'll jump right back into it when Bleeding Kansas is through. The grand Taco finale is right around the corner! I know, I know. I'm impatient too. I really want to wrap the Taco story soon. After the Taco story is done, I have plans to dramatically change the site and how content is posted and presented. I'd like to switch to a web-comic format so things will be easier to read in order. Lots of plans for the future of the Station.